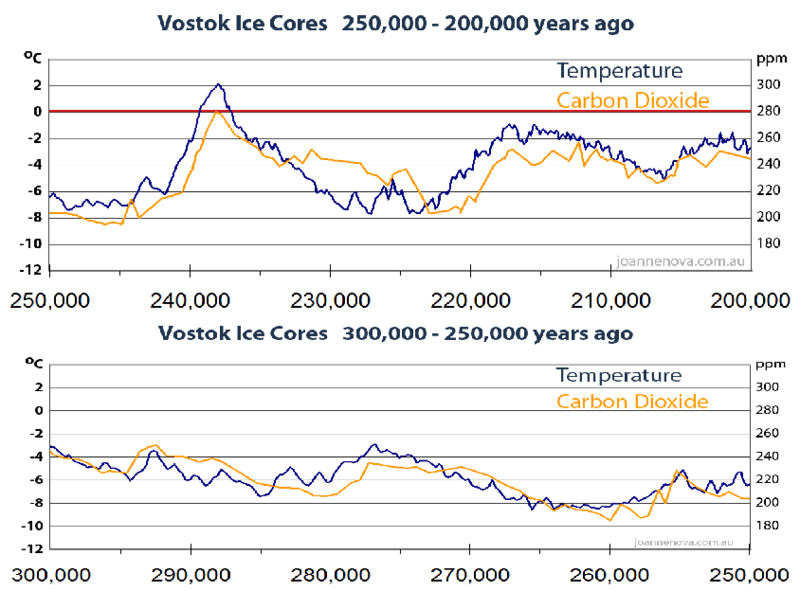 In the 1990’s the classic Vostok ice core graph showed temperature and carbon in lock step moving at the same time. It made sense to worry that carbon dioxide did influence temperature. But by 2003 new data came in and it was clear that carbon lagged behind temperature. The link was back to front. Temperatures appear to control carbon, and while it’s possible that carbon also influences temperature these ice cores don’t show much evidence of that. After temperatures rise, on average it takes 800 years before carbon starts to move. The extraordinary thing is that the lag is well accepted by climatologists, yet virtually unknown outside these circles. The fact that temperature leads is not controversial. It’s relevance is debated.